These socks appear to be high quality but run a little tight. 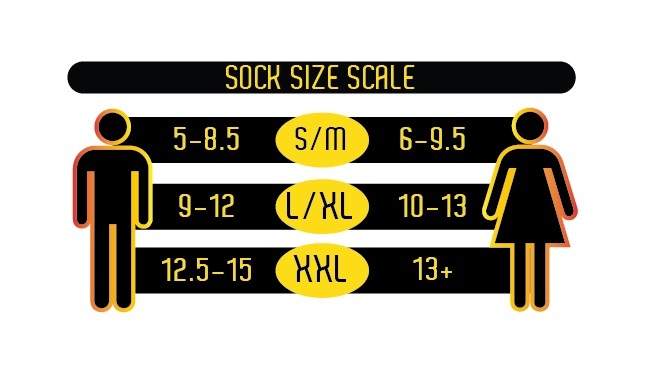 I'm a solid 12 1/2 and the XXL is very snug. I ran them on low yesterday and the batteries lasted well over 7 hours. They don't give off much heat on low, but I'm sure it will help when the extreme cold gets here. First pair of rechargeable socks I've owned, worth the money. Just wish they included the optional battery box with them. You have to remember to charge batteries or your SOL when it comes time to use them. I live in Colorado so these are perfect for this climate. I also ride motor for funeral details and that was main reason for this purchase. 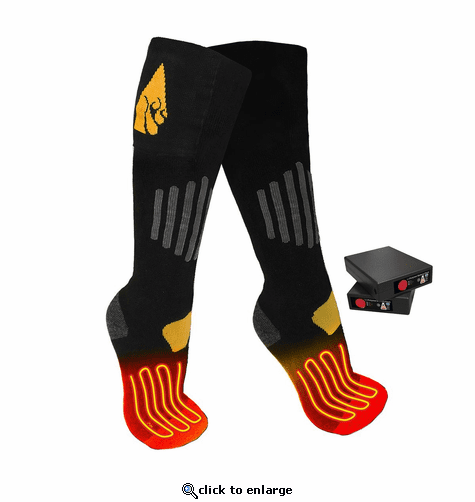 I ordered two pairs of these socks. I received three pairs of them. One pair fits my son and the other two pairs were too small. ProsI like that there are three different temperature settings and being able to recharge the batteries easily. ConsThe batteries tend to slip out of the pockets if I don't secure them well enough.